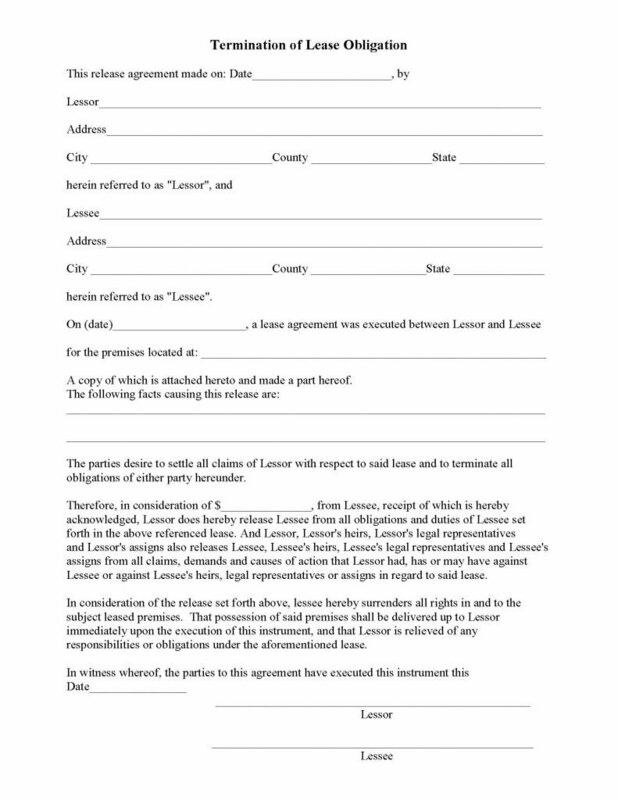 The lease release form (termination of lease obligation) is a legal document that by negotiation and financial settlement for monetary payment from the lessee to the lessor, discontinue the lease and both parties walk away from the previous agreement, held harmless from any further action. 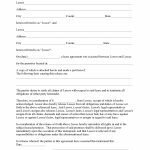 Once the document has been completed, signed and dated by both parties, the lease will be immediately completed and the lessee must make the property immediately available to the lessor. The lessee will surrender all rights to the property and it’s premises. This is a legal document that is enforceable in a court of law for or against both parties.